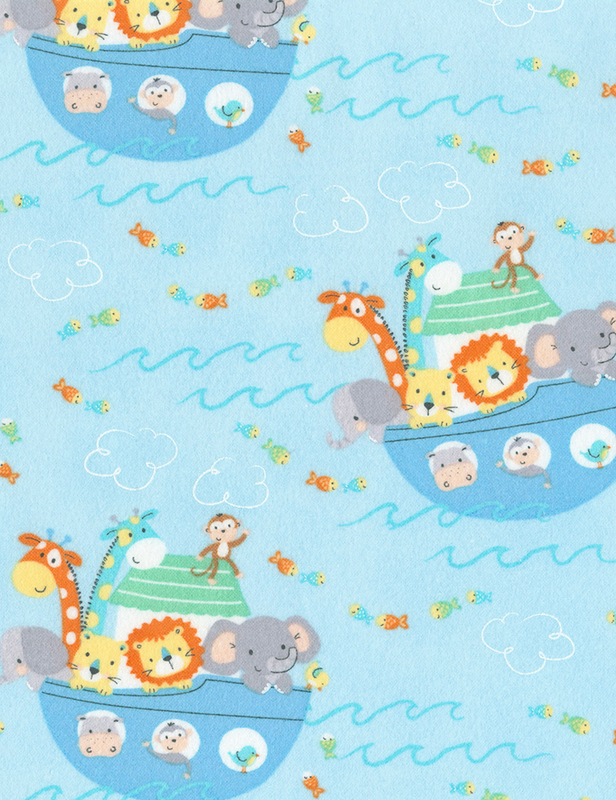 Blue flannel with tossed monkeys elephants giraffes and lions in Noah's Ark. From Timeless Treasures. 100% cotton 43"-44" wide.